Surrey Place Dental Group is conveniently located on the main floor of the Central City Shopping Centre, giving all patrons easy access to the clinic. Known for an extremely welcoming atmosphere, Surrey Place Dental is at the forefront of patient care and dental technology. Every dental professional at the practice has dedicated time and effort to the Surrey community, even outside the dental field. Doctors Thakore and Mehta have established a Community Development Endowment at UBC, Dr. Chang has educated many on the importance of healthy eating, and Dr. Maru, the clinic’s periodontist, has personally placed over 1,000 dental implants! This dream team of dentists, along with an exceptionally welcoming staff, puts Surrey Place Dental on the map as one of the most respected dental offices in perhaps the entire province. They offer close to 20 services from all facets of dentistry so that you and your family can benefit from not having to coordinate with different clinics depending on services required. It is no wonder why Surrey Place Dental Group is not only given rave reviews on multiple platforms, but also comes highly recommended by any living person in the Surrey area. The Dental Group @ Central City is located in the Central City Shopping Centre in Surrey. Don’t let its location fool you; it is one of the most frequently visited offices in the area and offers a deceptively large number of great dental services. Dental implants, porcelain veneers, soft tissue grafts, and bridges are just some of the numerous ways The Dental Group @ Central City can take care of you. On top of all that, they offer dental plans by HealthSmart Financial Services to assist families in achieving their health goals. All of the information for this can be found on their expertly designed website, as well as extensive links to all their services and dentist bios that include the famous Dr. Joy Maru, DDS. Although Dr. Maru is well known in the Surrey community, every patient at the Central City office knows that they are in great hands no matter who will be working on them. 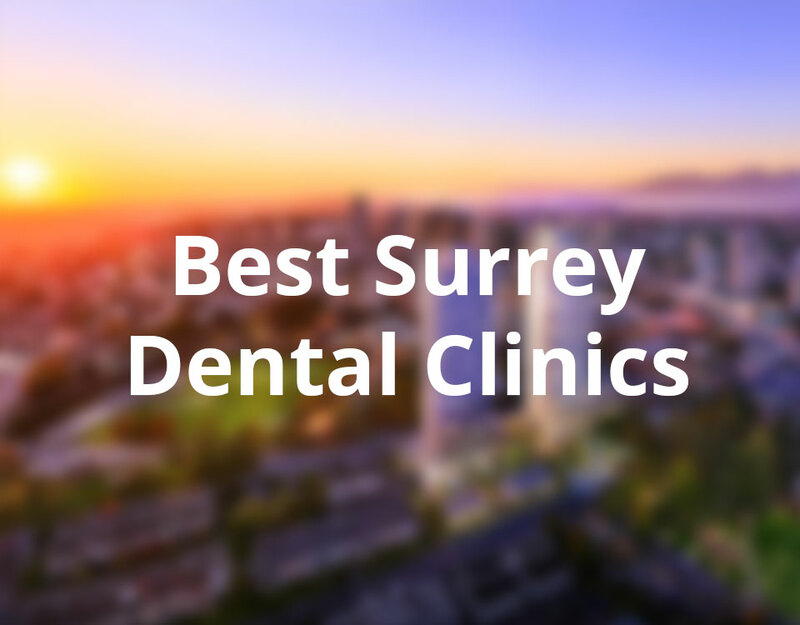 It is that trust from patients that puts The Dental Group @ Central City so high on the list of best dental clinics in Surrey. A few words come to mind when thinking of My Dentist @ Boundary Park: family, hospitality, considerate, meticulous, just to name a few. 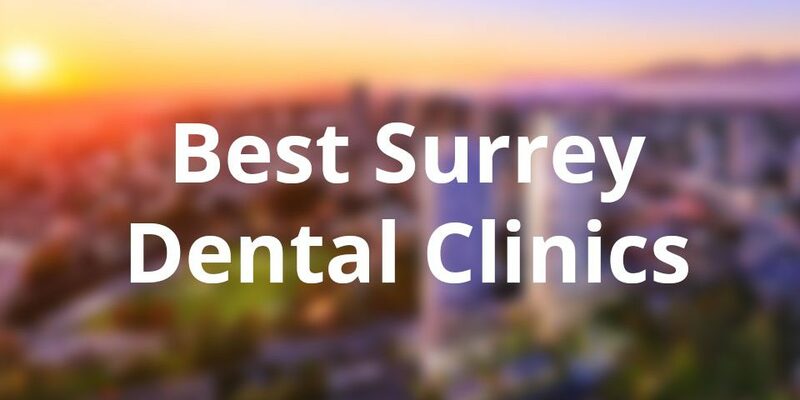 My Dentist @ Boundary Park, located on 120 St, is one of the highest rated and most respected dental clinics in Surrey for many different reasons. 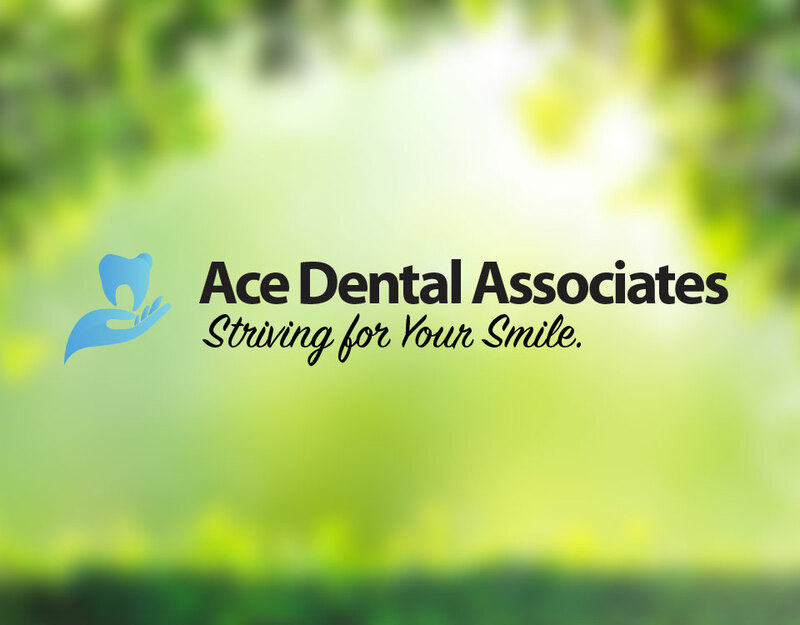 Their team of 8 dental professionals have a combined total of 12 master’s certifications, 121 years of experience, and have catered to the needs of over 127 average visitors per month. In fact, in 2015, Boundary Park tended to an astounding 1819 patients. One dentist, Dr. Komal Dhir, is well known for having studied at the prestigious Dugoni School of Dentistry in San Francisco, one of the best dental schools in North America. Nearly every rating it has on Google is a perfect 5 stars and each reviewer has something great to say about the clinic. Praise is given to Dr. Gurpreet Sidhu for being so gentle and friendly, as well as the front office staff for making a fantastic first impression as new patients enter the clinic’s doors. Although the area is teeming with superb dental talent, you’d be hard pressed to find a better dental office in Surrey than My Dentist @ Boundary Park. The newly renovated Evergreen Dental Centre inside Surrey’s Evergreen Mall is a clinic “committed to providing outstanding dental care, ensuring that all patients maintain a beautiful smile and natural teeth that last a lifetime”. Although it was also voted ‘Best Dentist in Surrey’ in 2015 by Opencare.com, I’m skeptical because of their Google Rating. They offer the usual group of services while also going the extra mile by offering Periodontic care, help for patients suffering from Temporo-Mandibular Dysfunction, IV Sedation, and Restorative Dentistry options. Community engagement is always a good thing too. Evergreen Dental is very good at responding to reviewers with both good and bad opinions. It may be difficult for every single patient in a clinic to have a great experience, but this clinic takes accountability for anything wrong and offers ways to make the situation better. It is for this reason that the clinic should be rated higher than a 3.5. Keys Dental Clinic, located in the rough yet entertaining part of Surrey, is advertised as a 24-hour emergency care center that has helped more than a few people with their unfortunate accidents. Unfortunately, in terms of good reputation Keys seems to be lacking a few elements. Currently with a 2-star rating on Google, Keys has made no efforts to reply and try to quell the issues certain reviewers have had with their service. Secondly, a complete lack of a website makes this place hard to find for anyone experiencing a dental emergency – any links bring users to the web page of a non-profit group that helps the homeless in B.C. Finally, although supposedly open all day and night, some reviewers have had issues trying to get a hold of the front desk! Surrey currently does not have many 24-hour care centers so hopefully Keys Dental Clinic can change things around for the better. Dr. Sidhu (My Dentist @ Boundary Park) has been my dentist for 5+ years now. I highly recommend him!